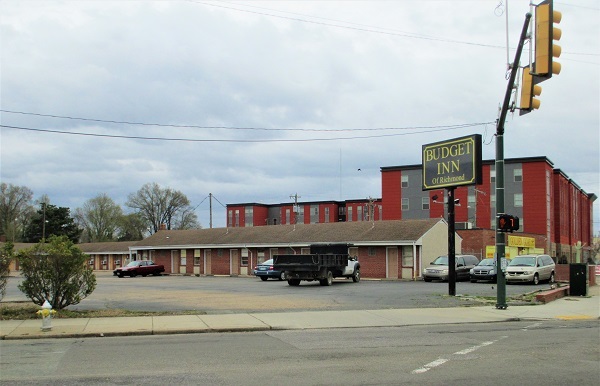 Virginia Union University put out an RFP last week seeking proposals for development of 2201 N. Lombardy St., the 0.9-acre site currently occupied by the Budget Inn of Richmond motel at the intersection of Lombardy and Brook Road. The RFP, which refers to the site as the university’s property, describes it as a prime location for commercial, mixed-use or residential development and seeks viable proposals from end users, developers and development teams. The motel site at 2201 N. Lombardy St., beside Brook Road. VUU has the property under contract, according to Jimmy Sanderson with Davenport & Co., which prepared and released the RFP for the university. Calls to VUU officials were not returned Tuesday. City property records list the current owner as Surjaya Corp., which purchased the motel in 2006 for $1.2 million. The latest city assessment valued the property at $543,000. 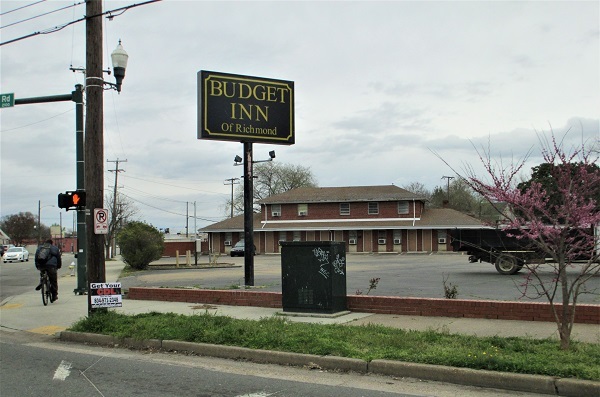 The RFP coincides with action taken this week by the Richmond Planning Commission declaring its intent to rezone properties in that area, including the motel site, as a first step toward implementing a revitalization plan adopted for the area in 2016. 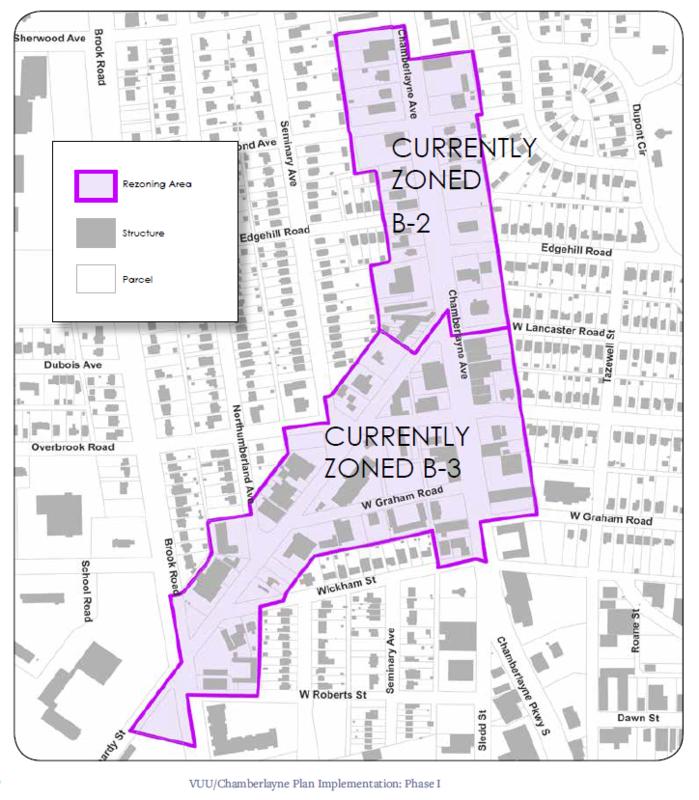 The rezoning, from B-3 and B-2 business districts to the denser UB-2 Urban Business designation, is intended to fulfill goals of the plan, called the VUU/Chamberlayne Neighborhood Plan, which calls for mixed-use, pedestrian-friendly development that would create a “neighborhood center” in the area of Lombardy, Brook and Chamberlayne Avenue. Affected properties include those along both sides of Lombardy between Brook and Chamberlayne, the stretch of Chamberlayne between the 2300 and 2900 blocks, Graham Avenue between Lombardy and Chamberlayne, and Overbrook Road between Lombardy and Chamberlayne. Anne Darby, a city planner leading the effort, said the zoning change would encourage a more walkable neighborhood with residential development above restaurants and retail, while discouraging elements of B-2 and B-3 that are tailored toward garages and other auto-centric uses and have allowed for expansive parking lots between streets and buildings. Unlike those districts, which Darby said are found along that stretch of Lombardy as well as corridors along Hull Street, Midlothian Turnpike and West Broad Street, UB-2 would prohibit auto sales, service centers and similar uses. Setbacks are not required between buildings and streets, and new construction must be between two and three stories high. The designation would also restrict front parking lots and curb cuts for driveways off the street, encouraging access off alleys where available. New construction over 1,000 square feet in size would require development plan review. 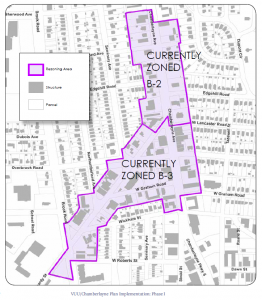 The push to change the zoning comes three years after the neighborhood plan was adopted by City Council, following considerable input and involvement from area residents and businesses. Darby said the timing for implementing the zoning is prompted by changing demographics since the plan was put in place. Development interest has indeed picked up in the area in recent years. 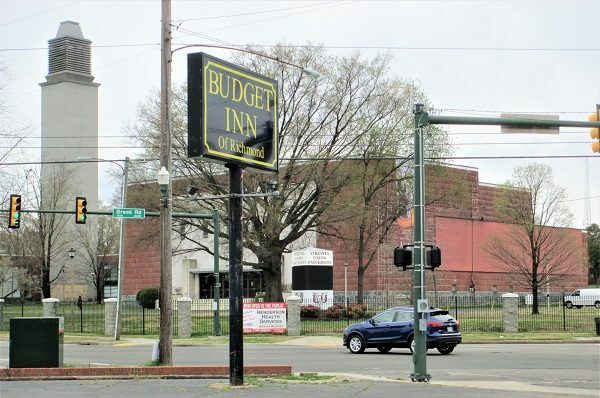 Beyond VUU’s plans for the Budget Inn site, several apartment developments have been proposed nearby, such as Lawson Cos.’ 200-unit plan for a former scrapyard off School Street. The Budget Inn is next door to the newer Spectrum apartments, visible in the background. The 103-unit Spectrum apartments, next door to the Budget Inn, was purchased in 2017 for $11.4 million and includes a block of leases for about a dozen units specifically for university students. Between that site and the post office, Loughridge & Co. is planning a $32 million, 224-unit complex at 2009 Brook Road. That proposal has yet to be approved by City Council, which has deferred a vote on the project five times since it was presented last fall. Following a series of public forums and community meetings explaining the proposal, Darby said the zoning change could be approved and take effect in a matter of months. She said those meetings are being scheduled and would be announced in coming weeks. Meanwhile, proposals for the RFP are due to the university no later than May 15, with interviews to be scheduled and conducted thereafter. A timeline for selection, negotiations and construction is to be determined based on responses received. 4 Comments on "VUU targets motel site amid pending zoning changes"